The meeting marks a tactical shift by the Trump administration, which has previously only appeared willing to participate in discussions with the Taliban if those talks also involve the Afghan government. Washington: The United States is open to holding direct talks with the Taliban to encourage negotiations between the militant group and the Afghan government to end 17 years of war, US officials said. The latest move a tactical shift by the Trump administration, which has previously only appeared willing to participate in discussions with the Taliban if those talks also involve the Afghan government. The US officials on Monday said that Afghan-to-Afghan negotiation remains the goal of any engagement with the militants. The officials were not authorized to speak to media and requested anonymity. The Taliban have long refused direct talks with the Afghan government, demanding instead to negotiate with Washington. 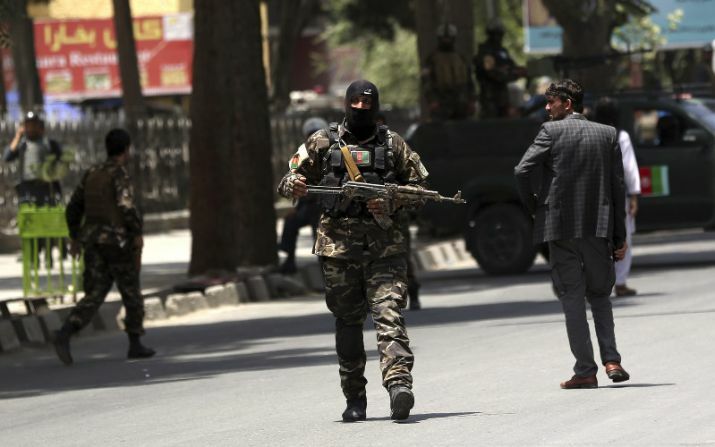 The militants have persisted in that stance despite Afghan President Ashraf Ghani's unilateral extension of a holiday cease-fire last month in hopes of encouraging the militants to come to the bargaining table. With the Taliban continuing to mount deadly attacks, Ghani ordered government forces to resume military operations this month. A Taliban official in the small Gulf Arab nation of Qatar told The Associated Press yesterday that no American official or intermediary has been in touch with them to start direct talks, and it had only heard of it in the media. The administration's willingness to hold direct talks with the Taliban was first reported by The New York Times on Sunday. The Taliban official, who also spoke on condition of anonymity because he was not authorised to speak to journalists, said, "We wait for them to officially inform us." But he added that if the US is interested in talks, it should take steps to get Taliban leaders off a sanctions blacklist and support the formal opening of the Taliban office in Qatar where its political representatives reside. The official reiterated the Taliban's call for the withdrawal of foreign troops from Afghanistan. Asked if the US was willing to hold direct talks with the Taliban, the State Department said yesterday, the United States "is exploring all avenues to advance a peace process in close consultation with the Afghan government". The department added that "any negotiations over the political future of Afghanistan will be between the Taliban and Afghan government". Last August, President Donald Trump launched an Afghanistan strategy that centred on boosting the capabilities of Afghan security forces and aiming with help from Pakistan and other interested nations to compel the militants to negotiate. Secretary of State Mike Pompeo visited Afghanistan last week to reinforce its support for talks. The US invaded Afghanistan following the Sept. 11, 2001, terror attacks, and ousted the Taliban government that had hosted al-Qaida. It has about 15,000 troops in Afghanistan, mostly for training government forces. The conflict appears stalemated, with insurgents controlling or contesting more than 40 per cent of the country. The UN mission in Afghanistan said Sunday that 1,692 civilians were killed in violence in the first six months of this year, the highest six-month death toll since the systematic documentation of civilian casualties started in 2009.